Covert Lee "Cobie" Savell, Jr. Celebrating the life of Covert Lee "Cobie" Savell, Jr.
Be the first to share your favorite memory, photo or story of Covert. This memorial page is dedicated for family, friends and future generations to celebrate the life of their loved one. 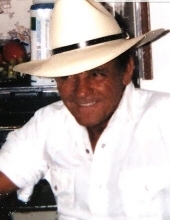 Obituary for Covert Lee "Cobie" Savell, Jr.
Covert Lee "Cobie" Savell, Jr., age 75, of Galveston and formerly of Centerville, passed away January 17, 2019 in Texas City. He was born August 25, 1943 in Texarkana, Texas to Covert Lee, Sr. & Mary C. “Net” (Hamous) Savell. Cobie moved his family to Centerville from Hempstead in 1974 where he operated a successful logging business. He was an outdoorsman and didn’t spend much time inside. Cobie was more comfortable fishing or taking a walk in the woods. He loved his children and grandchildren greatly and was a huge fan of the Dallas Cowboys football team. Covert was Baptist by faith and had attended First Baptist Church in Centerville. Cobie was preceded in death by both of his parents; grandson, Richard Lee Savell, Jr. & sister, Zettie Mae Monroe Wills. He is survived by children, Richard Lee “Ricky” Savell, Sr. (Michelle) of Douglasville, Lisa Moore (Gary) of Galveston, Lori Kana (Brandon) of Magnolia, Leslie Ann Savell of Alvin & Stephanie Rene Savell of Huntsville; brothers, Mike Savell (Brenda) of Hilltop Lakes, Timothy Allen Savell (Katrina) of Conroe, John Gordon Savell (Elizabeth) of Midway and James William Savell of Elkhart and sisters, Syble Marie “Pat” Pledger (David) of Houston, Caroline Sue Finchum of Hempstead & Betty Williams (Gidie) of Hempstead. Cobie is also survived by grandchildren, Cody, Andy, Amanda & Justin Savell, Brandon & Cory Moore, Ashely Marie, Lisa Ann, Ashley Leaver, Scott & Kyle Bridgewater, Dillon & Eli Kana & Ryan Purvis and great grandchildren, Alexis, Savannah, Avery, Brody, Shianne, Chase, Tristan, Bianca, Isabell, Katy, Kolten, Christen, Cameron, River, Rayleigh, Presley, Tyler, Samson, Kaysen, Olivia, Richard Lee "Trey Trey" Savell, III, Christian, Kiera, Addison & Kassalynn, as well as numerous nieces and nephews. Funeral services for Cobie will be held 12 Noon, Monday, January 21, 2019 at Walters Funeral Home in Centerville, Texas. Rev. David Pledger will officiate the service followed by interment in Centerville Cemetery. A brief visitation will take place from 11 a.m. until service time at the funeral home. To send flowers or a remembrance gift to the family of Covert Lee "Cobie" Savell, Jr., please visit our Tribute Store. "Email Address" would like to share the life celebration of Covert Lee "Cobie" Savell, Jr.. Click on the "link" to go to share a favorite memory or leave a condolence message for the family.